I always wondered why the UK celebrated Mother's day on a different date than pretty much the rest of the world. My mum of course, being Italian, does not mind this at all and quite likes being able to celebrate this special day twice a year. 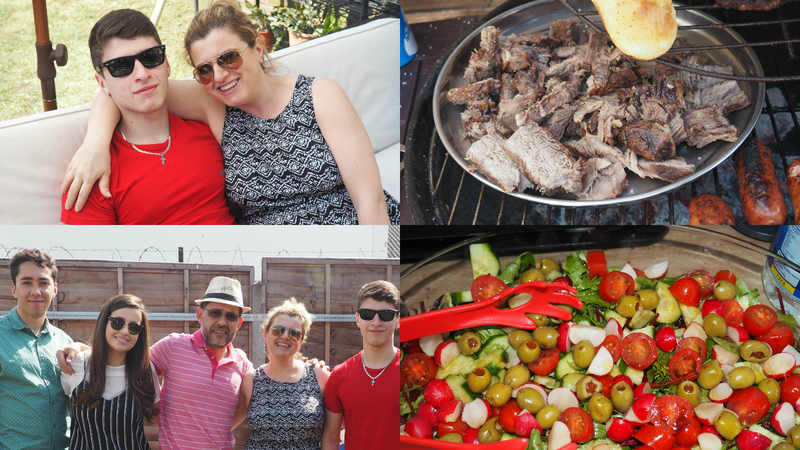 This past Sunday was no different and whilst presents are only involved the first time round, we simply had to make most of the beautiful sunny weather we were having in London (and how hot was it!). 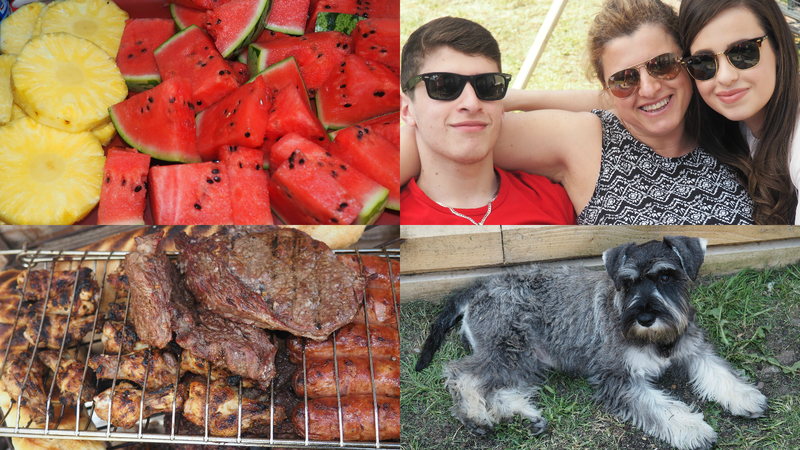 Despite being Brazilian and having grown up in constant near inferno temperatures, I'm so not used to the heat anymore, so the best way to cool things down was obviously having a barbecue (Brazilian style) with lots of foods, fruits, cold beverages and ice cream! The day started and ended in a jiffy but the refreshing sunshine, being able to leave the house in nothing but a tee and shorts (and not regret it), and good company made this weekend one I really needed. It's funny how a few sunshiny days change everything; I am up bright and early today feeling like my batteries have been recharged and that is always a good feeling for a cloudy, otherwise depressing Monday. Needless to say, I can't wait for more days in the sun and I am ready for summer! Ready when you are London! On a completely different note, I always felt like the lifestyle part of this blog was lacking and I really want to change that so expect more posts about my days, perhaps some restaurant reviews and even movies! What do you think about that? Let's see how I get on! Tell me, what did you do this weekend? Was it crazy warm where you were too? Let me know below! Thanks for reading beauties and happy Monday! This sounds like a wonderful day! The watermelon slices look so delicious! We also celebrated Mother's Day her in Denmark yesterday, so we spent all day outside, eating yummy food and just having a good tim (: Looks like y'all had a really great day too. Keep them lifestyle posts coming! I am loving this London weather so far. I need to get out more though. It's lovely how you spent Mother's Day. I was in church most of the day, but I bought ice cream, slept and cooked lol. Looks like you had a lovely day! I am loving the hot weather! I have had two bbq's and loving it! Um dia bem passado por aí! Such great photos <3 Looks like you had an amazing time! Adorable pics <3 Looks like you guys enjoyed a lot!! Aww, how lucky is your mum to celebrate two Mother's Day in a year, I wouldn't mind that at all myself. LOL! And yes to more lifestyle posts, Pam, it's always lovely to read a more personal post from a blogger I follow. It seems like you had such a lovely day! I'm so happy that your mother is Italian!!! The food looks amazing! And you all look like you are having a great time, especially your mum! What a lovely day you guys shared! Awww what a lovely looking family! What a fan celebration, Happy Mother's Day to your mom! Thanks for your wonderful comment on Qing's Style Please always keep in touch, I would love to hear from you! It looks that you had a lot of fun and that it was perfect Mother's day! That sounds like such a lovely day! I think London looks so pretty in the sun, and last weekend was the perfect weather for Mother's Day! Look at all that pretty fruit! Absolutely lovely, it's been raining here in Chicago for weeks now I swear, I may just have to put out some fruit for the family to brighten our day! Bahaha, your off-hand statement about your mum loving to celebrate Mother's Day twice a year is hilarious. I hope you and your fam had a lovely Mother's Day weekend! Sounds like an amazing day, Pam. What a wonderful day!! I love this post!! Your Family Loook very cute. Looks like an amazing time spend together! That salad looks so good!